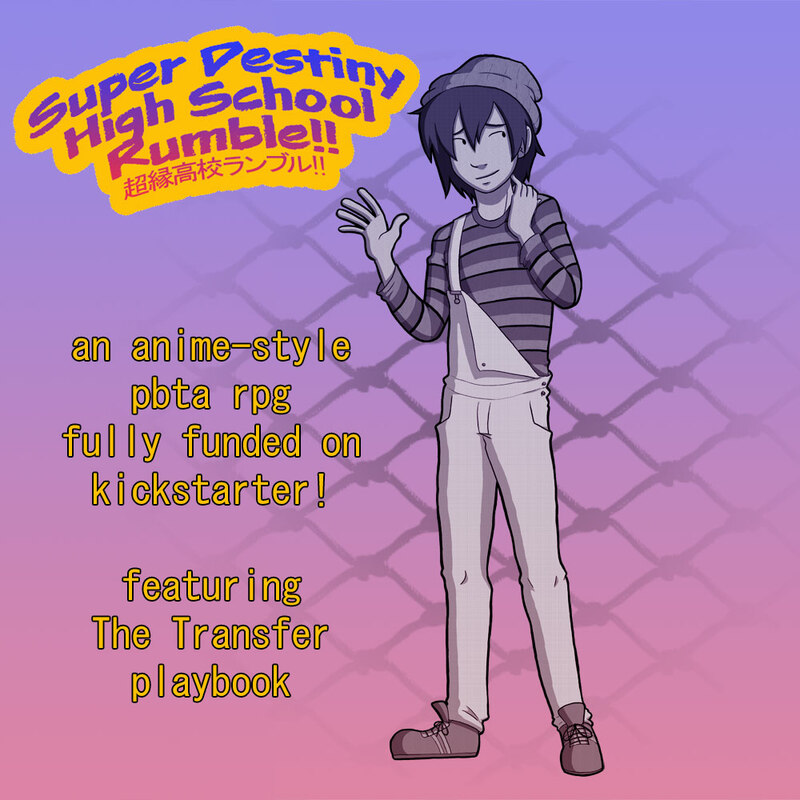 It’s two weeks since the Kickstarter for Super Destiny High School Rumble!! wrapped up. We’re thrilled that the funding was not only successful, but reached all our stretch goals so that we will be able to publish the game book with four extra playbooks and additional art. Where we’re at right now: Editing the book, writing a few final sections, going through the playbooks with a fine-tooth comb to make sure all the moves are exactly what we want them to be, and making more art. Our goal is to have the pdf of the book available on DriveThruRPG in June, and the paper version in August. We’re on track to meet that goal. 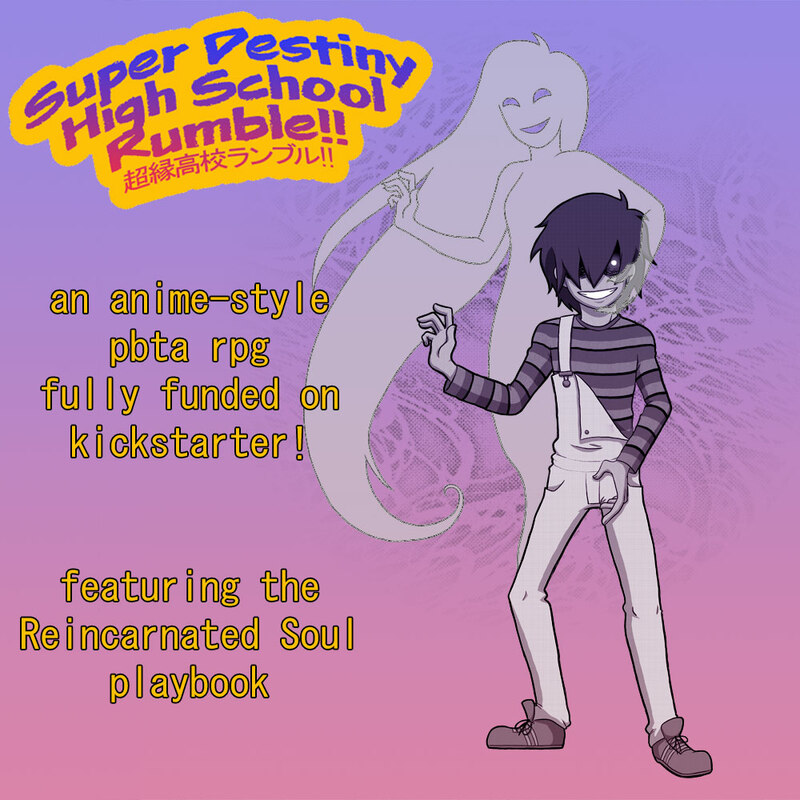 Our backers will of course be the first ones to get the book! The book will have sections for the students (players) and the Principal (GM), as well as a section on villains with some sample villains you can use, and a section on creating plots with a bunch of sample plots. The 24 playbooks, 12 student and 12 destiny, have their own section as well. There are plenty of examples of play so that anyone, experienced role-player or not, will be able to easily jump in and play or run this game. And here’s some new art!